Both the gaffers had very different take to the gameplay on Saturday evening. 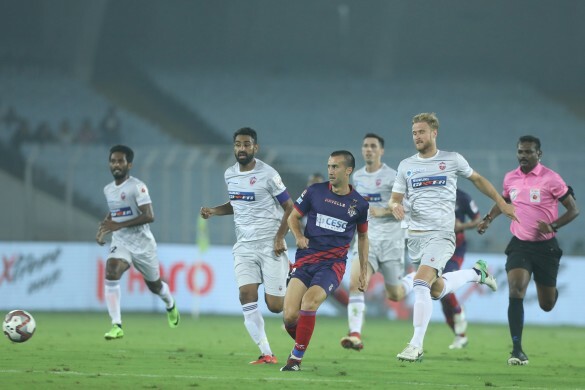 ATK picked up a hard-fought win by brushing aside FC Pune City 1-0 at the Salt Lake Stadium on Saturday. Gerson Viera’s late winner was the decider in what was a really cage affair between the two sides. Steve Coppell looked a pleased man after the win when he was asked about the late goal. “I seem to remember not so long ago that we were conceding goals late in the games. We’ve worked on our fitness to prevent that. It was one of those (cagey) games," he began. Manuel Lanzarote displayed a commendable performance in which he dominated midfield and created some great chances for ATK. When asked about his performance, Coppell said, “I think that was his best performance for us. In possession, he is terrific. On the switch off, he knows something happens." "I think today, he put on a different quality to his game. He was involved in a lot of things and got some set-piece opportunities. He hit the post and invest themselves in the game and gave a great showing,” Coppell added. The ATK players looked relieved after the final whistle. When questioned about whether he felt there was extra pressure on them to get a win today, Coppell explained, “Well that’s obvious. The players have put themselves under pressure to win the game. I think they realized the significance of three points. That was the importance of tonight’s game. “It wasn’t about the performance, but about the three points. Every player is under pressure to perform as we didn’t many this term. But today’s win was important." "We now have a break and will prepare for the upcoming games after the break to put ourselves in a promising position at Christmas," the Englishman added. Finally, he was asked about how he felt about giving an ISL debut to youngster Ankit Mukherjee. He said, “Well I brought him out because he’s got a lot of energy. He’s still learning on the defensive side of the game. Aiborlang had made many poor urns forward and I thought Ankit would bring a different edge to us in the attack. I was very pleased for Ankit making his debut. “He’s been very good in training and deserved to play more minutes. But the ball is on Aibor’s court right now. However, I’m looking for a complete full-back who can compete defensively and on the attack as well.” he concluded. Despite the loss, FC Pune City defended relatively better than before and held off ATK’s persistence for quite some-time. When asked about whether this loss added to their woes, interim coach Praydum Reddy said “We’re in a tough position now because of the loss. But you need to look at the positives." "Most Indian teams play with six Indian Players. We’ve played with 6 U-23 boys out there today. Many of them were from our academy. I think the youngsters have done themselves proud with their outing today," Reddy added. He was later asked about whether the lapse in concentration resulted in the goal. He explained, “Whenever a goal is conceded, you always have to look back to see when the mistakes happen. The goalkeeper gave ht possession away too cheaply which resulted in the goal." "We didn’t make them work hard and gave them the ball too easily. We got punished for giving them the ball too easily," the interim coach added. Reddy was later asked about whether the lack of key foreigners was the reason for the Stallions dismal attacking performance against ATK. He said, “If and buts don’t really mean much. We’ve scored six goals this season. Three of those goal-scorers were missing today." 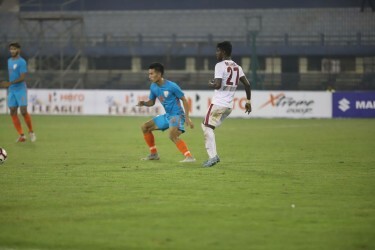 "The youngster boys did well and Abhishek did well with a few shots a goal today. I read an article today about how Constantine hasn’t been putting much young Indian boys in his squad for the Asian cup because of the limited chances they get," he added. "I thought of giving the younger boys more chances and felt they did well tonight. I hope they continue to impress," Reddy further added. Finally, he was asked on Robin Singh’s poor performance centrally and said, “If you look at this season, we’ve tried to find a new role for Robin this season. In the wider role, he got assists so far. Today he’s had to go back to his old role of playing as #9. Even though he didn’t score, he worked hard." "If you look into the stats, then he doesn’t match up with the other strikers in the league. However, when comparing with the strikers in the squad, he compares up pretty well," the FC Pune City tactician signed off.